A customer called me the other day about getting some Radical Design panniers. 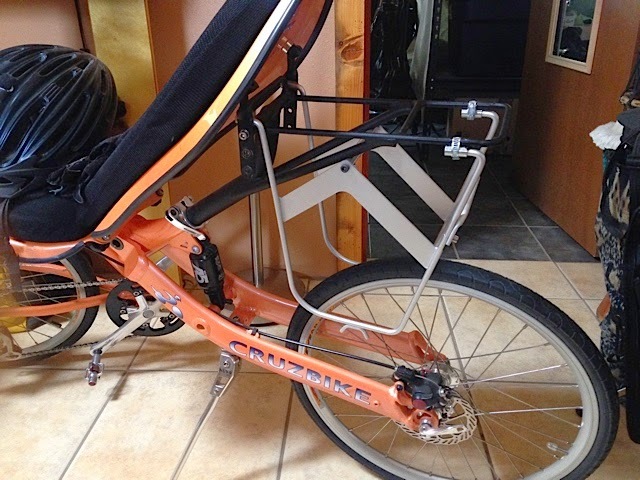 He had made some modifications to the Cruzbike Heavy Duty rack on his Quest 20. 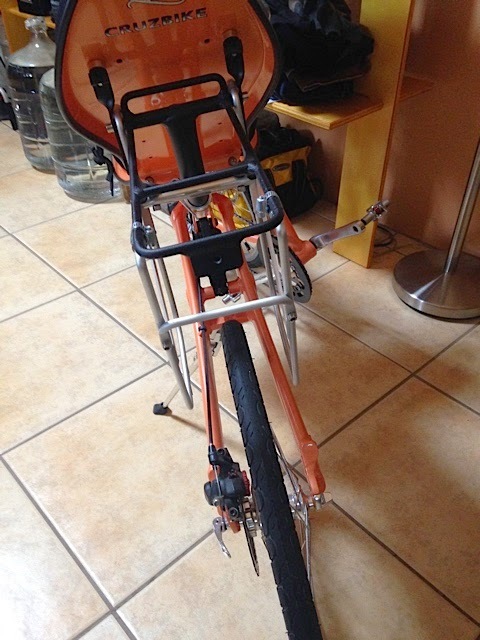 Talking to him, I became very curious about the mods because it sounded like he was solving a problem I too had observed: no place to anchor pannier bags on the side of the heavy duty rack and no way to ensure the Rad. Design bags wouldn’t touch the rear wheel. His name is Tor Matson (no relation to me, as far as I know). Here are his notes and photos. He’s happy to make the rack for others if you wish. 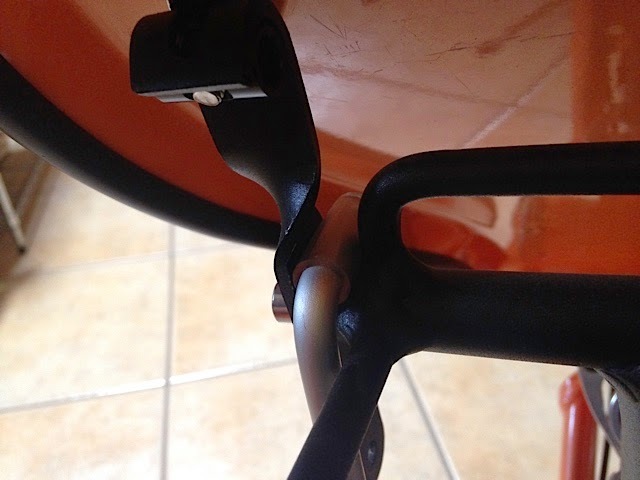 Here’s the kludge bit. 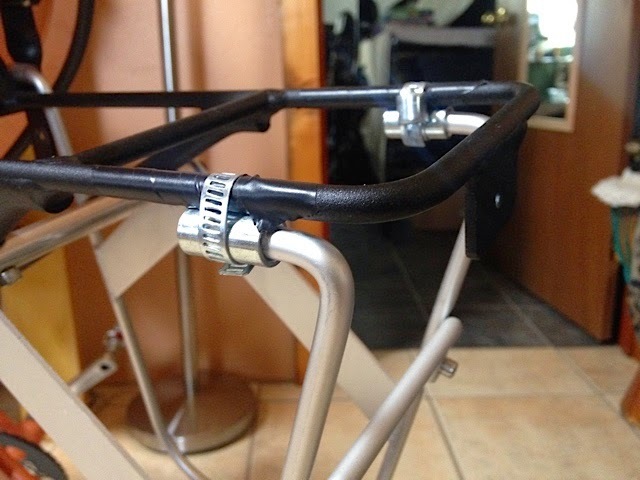 Having the quick-release option is nice, as you can just slide the rack out of the tube, but the hose clamps aren’t so nice. 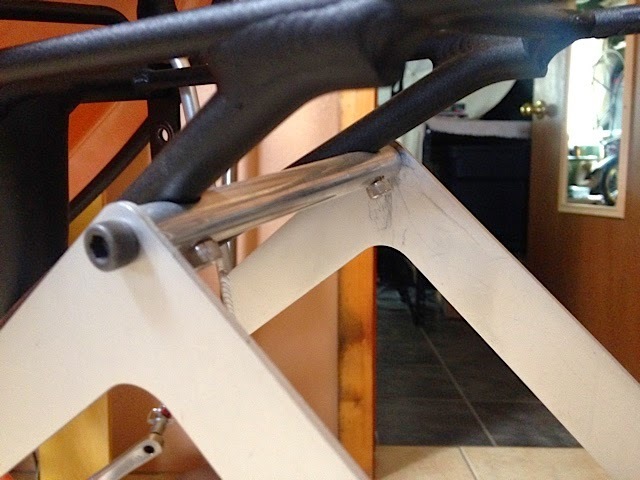 Could TIG some aluminum tube onto the CB rack for a cleaner look, or fab up a better tube-and-clamp system. This is a beta test mule, function only! 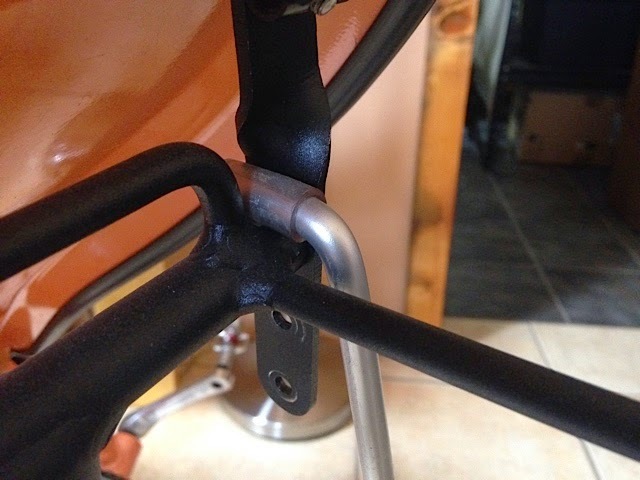 Slipped some tubing over the pannier rack, and got a really secure mount. Solid and rattle-free! I asked him if I could post the photos and his contact info. in case anyone else wants to order one. You’ll need to add the extension, etc. to that e-mail address.